Boasting the bright combination of white gold and diamonds, this Roberto Coin necklace is an elegant piece you'll love for a lifetime. 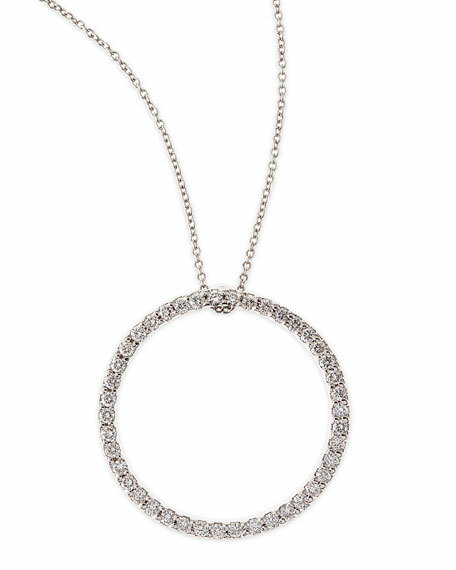 Pave diamond circle pendant, 1" (25mm). 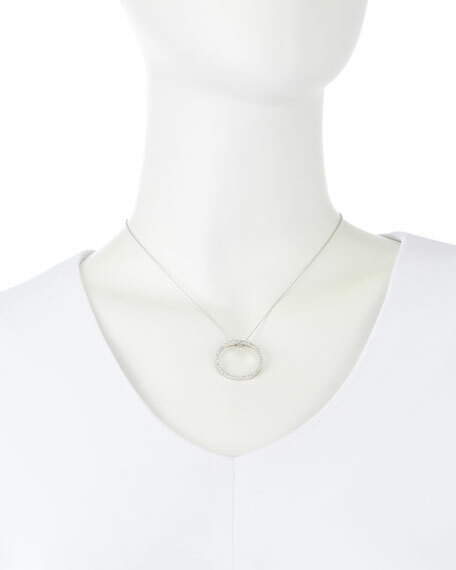 Cable chain necklace with lobster clasp, 16-18"L.
For in-store inquiries, use sku #2124701.